LONGER LIFE THAN THE COMPETITION�S BLADES! Individually hand-hammer tensioned steel plates for true run. 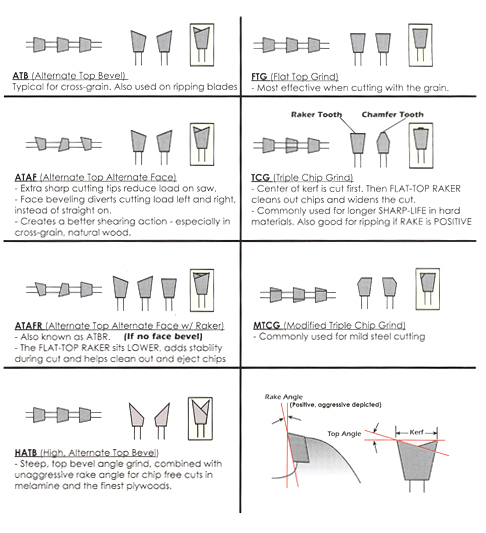 Unique tooth design and geometry for smoother and easier cuts. New grade of carbide for longer cutting life in stainless steel. Resin bond-fi lled laser expansion slots for reduced vibration. These blades, when used for the proper application, will save time and money.. Please note all safety instructions before use and adhere to instructions for maximum RPM speeds. Be advised that various grades of stainless steel vary greatly in their ability to be cut with current tchnology. Tenryu�s Steel-Pro for Stainless blades are recommended for cutting the most common grades of stainless steel, including 303, 304, using dry cut machines. Other grades of stainless materials are very diffi cult to cut effectively using dry cut machines. However, due to the fact that Steel-Pro for stainless cuts so quickly and without time consuming de-burring, compared with former cutting methods. TIME and OVERALL SAVINGS are VERY SIGNIFICANT when cutting 303 and 304 stainless. Also, scorching of the material being cut is avoided. You win all around!